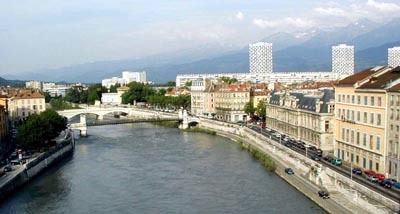 The Fifth European Workshop on Low Temperature Electronics (WOLTE 5), organized by Francis Balestra and by the Institut de Microélectronique, Électomagnétisme et Photonique, was held at the Institut National Polytechnique Grenoble, in Grenoble, southern France during June 2002. The WOLTE 5 sessions were preceded by a one-day short course on 18 June, "Ultimate Electronic Devices and Sensors," that was also part of another meeting that had taken place just before WOLTE 5. This short course comprised eight presentations covering MOS and SOI (silicon-on-insulator) devices, single-electron devices and Coulomb blockade, microSQUIDs (superconducting quantum-interference devices), quantum electrical standards, and transfer of innovation to industry. The WOLTE 5 technical sessions took place during 19-21 June. There were about 60 participants from European countries as well as Brazil, Japan, and the United States. A wide range of topics relating to low-temperature electronics was covered, beginning with presentations on various types MOSFETs. There was considerable emphasis on the properties and potential of "nanometer" devices, both field-effect transistors (FETs) and single-electron devices, and the associated quantum effects. Other sessions included presentations on non-silicon devices, noise investigations, and novel electronic devices. There were several sessions on superconducting materials, devices and circuits. The topic of the final session was applications of low-temperature devices and circuits to space. The Workshop banquet, on Thursday evening, was enjoyed in a restaurant on the Bastille mountain overlooking Grenoble and connected with the city by the Téléphérique (aerial cable car). The WOLTE 5 program (and other information) is available at the Web sites below; the proceedings are available as J. de Physique IV, vol. 12, Pr3, May 2002. Copyright © 2002 by Randall K. Kirschman.